Luverne Truck Equipment, Inc. has manufactured quality automobile and truck accessories since it began operations in 1963. Luverne is nationally-known and respected. 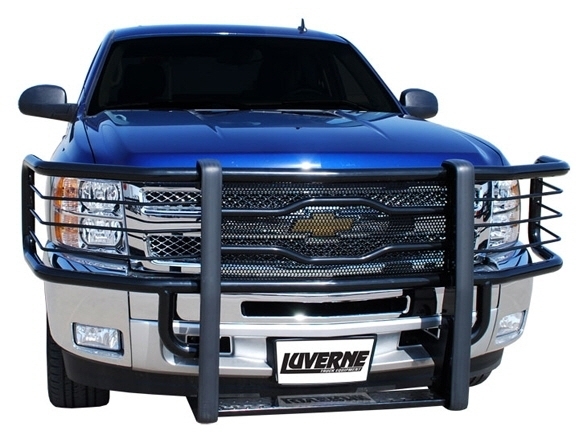 Luverne’s truck equipment product line offers a broad base of upscale aftermarket accessories for pickups, vans and SUVs. Its primary products are made from high quality stainless steel, anodized aluminum and powder coated mild steel. The Company’s products include rear bumpers, grille guards, nerf bars, side entry steps, splash guards, bed rails, grille inserts, MegaStep®, O-MegaStep®, GripStep®, Baja®, StepUp®, EZ Step®, Regal 7 Oval Step®, cab guards, Defender Series® front-end replacements, and other similar products for most full-size pickups, vans and sport utility vehicles, and BIG RIG®, ProTec®, and Tuff Guard® grille guards for semi-tractors.